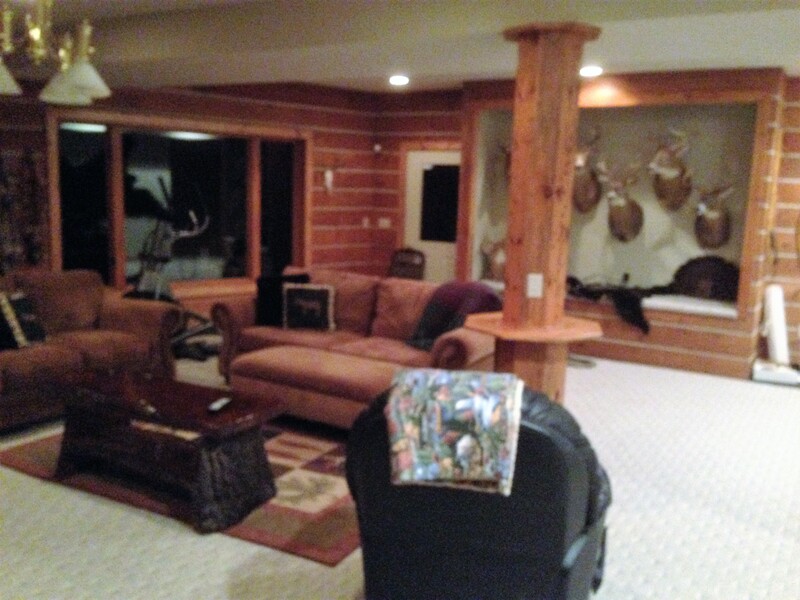 This project had a large scope of work as the basement was already finished. We had a large amount of demo such as walls, ceiling, floor-ing, windows, and cabinetry. The homeowners wanted that pole removed from the middle of there room as it imped-ed the layout for furniture and entertaining. We removed the two large picture windows and added two new French doors to open up the view. In the corner we removed the entrance door and added a gas fireplace with split stone and a rustic saw cut mantel. 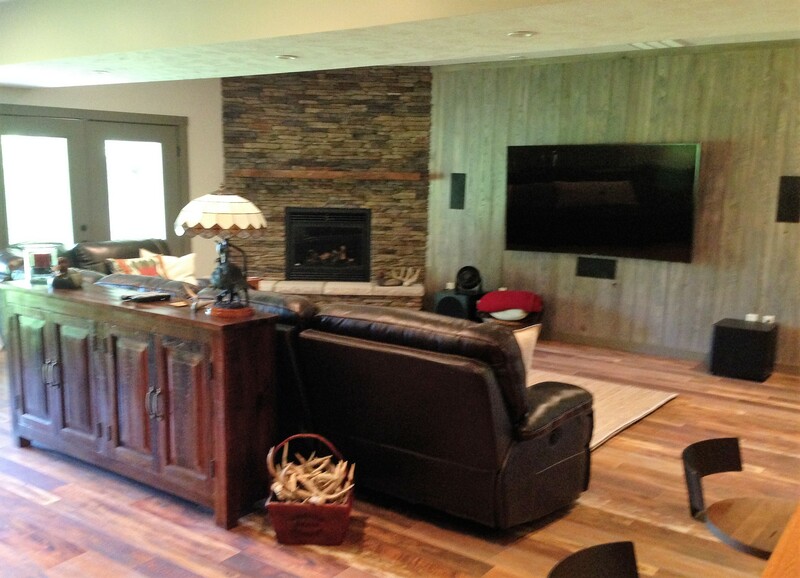 New laminate flooring and custom aged wall paneling, base and wall trims with a gray wash were added to give the room a mod-ern rustic feel. 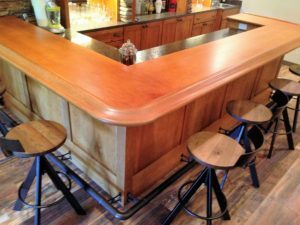 We also custom built a bar where the old kitchenet was located.